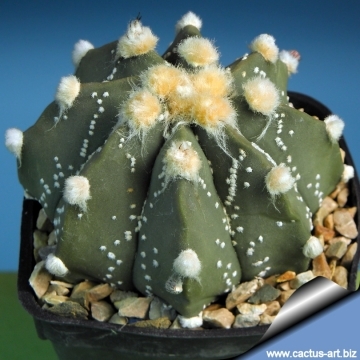 The superb feature of some of this hybrids is due to the intersection between the traits of the ancestors and make them very desirable. 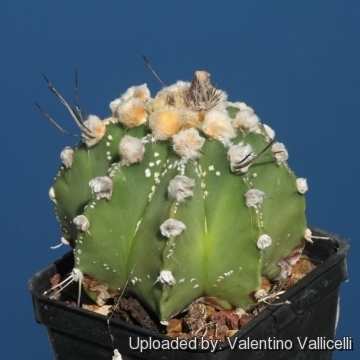 Ribs are sharp (usually eight) and have short spines clearly indicating the relationship with Astrophytum senilis var. aureum. 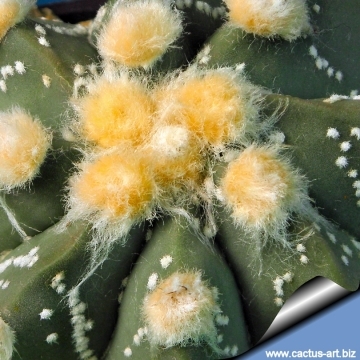 The main characteristic of this hybrids are the yellow woolly areoles, as the plants age the areoles become more and more large, woolly and colourful. The older specimens are often very handsome. 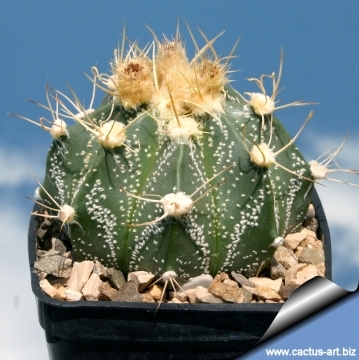 This hybrids are strong but slow growing. The flower are also very beautiful. 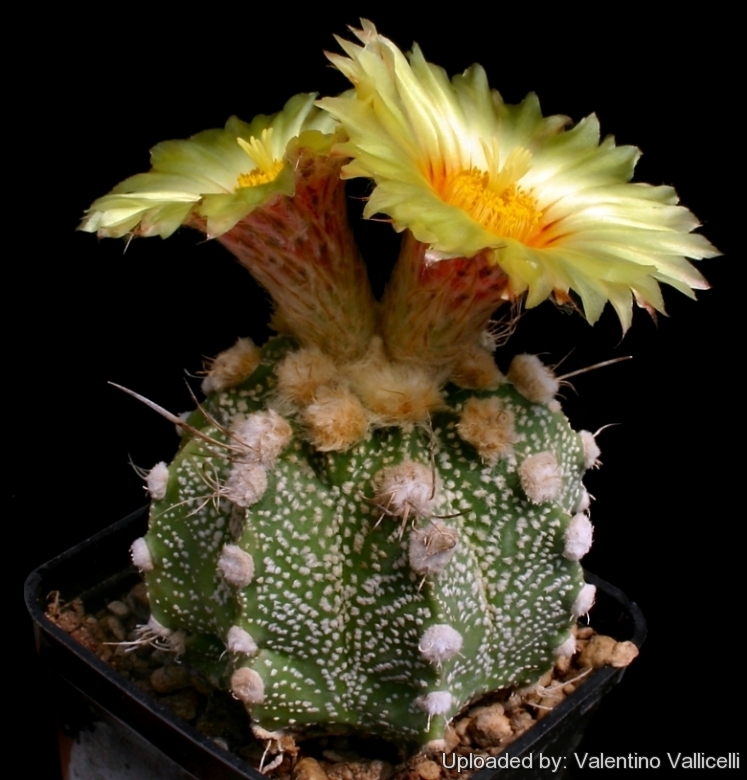 Remarks: Compare with the inverse hybrid Astrophytum hybrid SEN(AU)-AS (A. senilis aureum x A.asterias) which is similar but with (usually) longer spines. 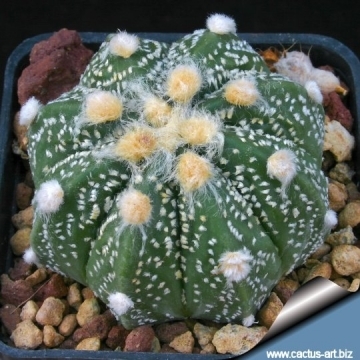 Cultivation and Propagation: The hybrids of Astrophytum are summer-growing cacti and relatively easy plants thought slow to grow. They makes great potted specimens. They are sometime seen as a grafted plants but grow very well on their own roots too.